Now it is here, the last day of spring, the end of the arguably best season for birdwatching. For the birds summer might have started some weeks earlier with the breeding season, but to be honest the seemingly endless tempests and rainfalls didn't look like summer to me. Fortunately, the weather forecast predicted today the first day without any trace of rain since a long time. As it is also one of the longest days in the year I planned an extensive birding day. But where to go? In the last days I've always visited the very same sites, simply because I couldn't go anywhere else due to the floods that have hit the northern part of the district. And even if Little Bitterns are very cool birds they become after the fifth or sixth visit a bit boring (sounds perhaps a bit drastic for all the people that don't have these around, but it's the truth). So where to go? 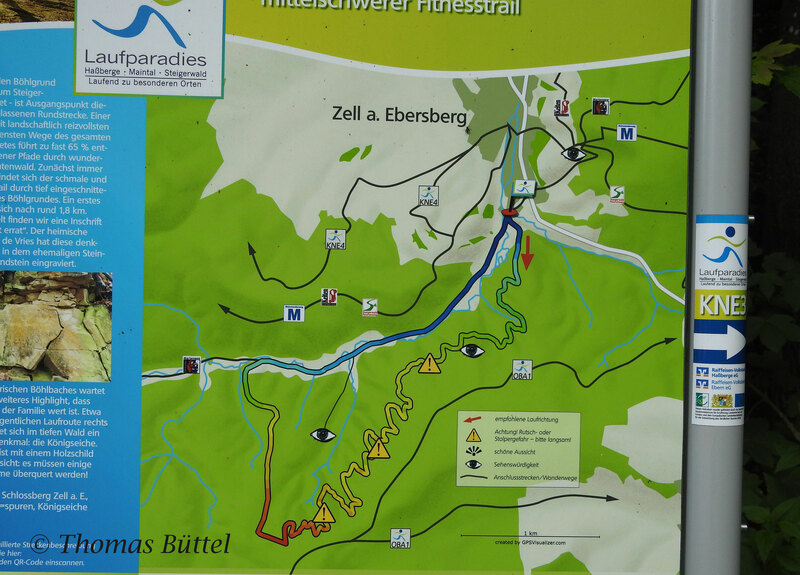 If you have downloaded or received the guide you can look up chapter 10 "Zeller Forst" and see where I went today (for all the others: see here for the site description). My visit had of course a reason and this was to walk the complete "Schlangenweg" (literally translated: snake trail) and not only the described shortened round, so that I can update this chapter in the next edition of the guide. In the first half of the walk anything was quite pleasant, since the path was just partially muddy and I did see lots of Wood Warblers in return. So far anything was OK. However, when I entered the second half - the one that I hadn't so far known - the trail became torturous. Behind every turn the path seemed to be even muddier and since anything looks almost identical I even lost the orientation. All in all it was the absolute opposite to what this day was supposed to be like. Yet it seemed as if I had suffered enough, since on the way back down in the valley I came through another woody area, where I suddenly heard an intense song from the slope on my left hand side. It took a while until I realised that it was the song of a Red-breasted Flycatcher! Unfortunately, I couldn't find the bird in the trees but still I'm very happy, since it had looked for weeks as if no individual was in the area this year. This really superb bird had already saved the day, but after a small afternoon-break I was back again on the street to visit a second site I've neglected for too long. 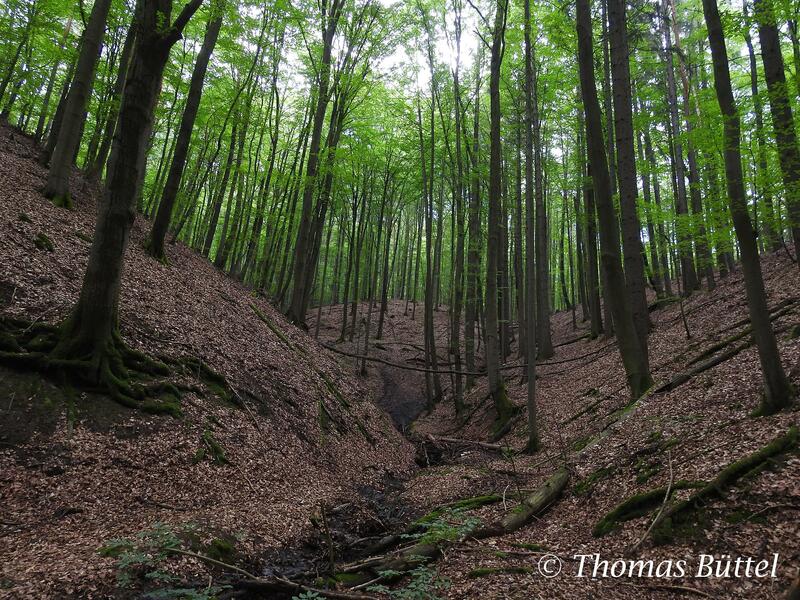 I'm talking about the "Forst Tennenlohe" a few kilometers north of Nuremberg. This area had been a training area for the Army until 1993. Since then the large open area is open for public and for species like Woodlark, Woodcock and mainly for European Nightjars one of the best sites in Bavaria. Because these are nocturnal birds, I needed to wait until sunset which is currently at 21:45. 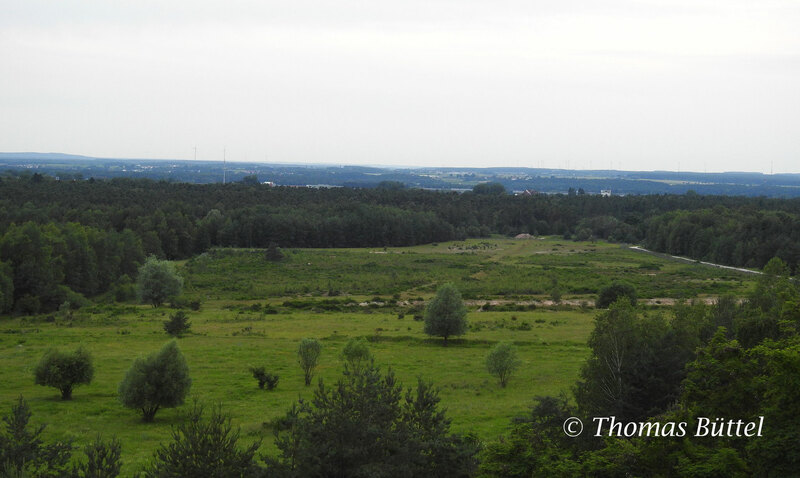 Nevertheless, I was already at 20:15 on-site so that I could take some landscape photos before the Nightjar session. However, already 45 minutes after that the light was too poor for any of my cameras and so the long waiting began. This might not sound so bad, but it definitely is when mosquitoes are nearby. Nevertheless, giving up was no option. 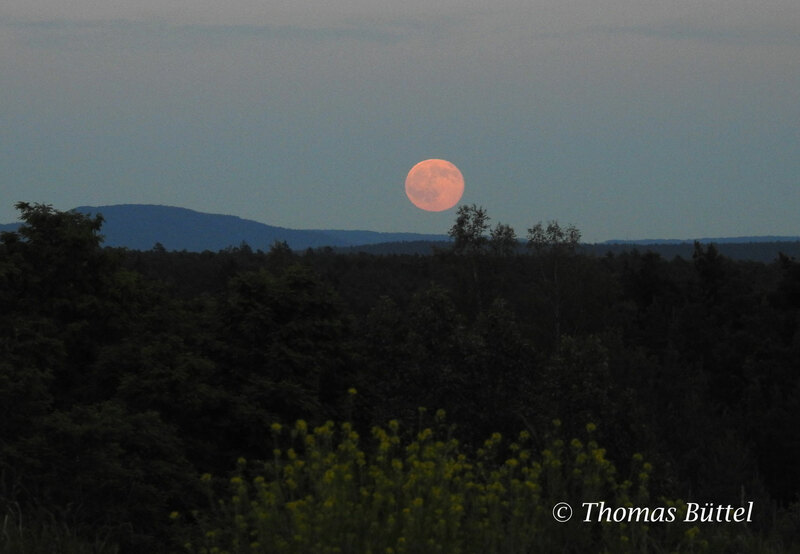 In exchange I saw the moonrise above the pine forest, which really is worth some hundred mosquito bites. And finally, exactly when the sun had eventually disappeared behind the clouds, the Nightjars started singing or whatever this strange sound is called. At first the individual was very distant and hardly audible, but with the time it came closer and closer. Only one small detail was missing, namely to see one flying around. 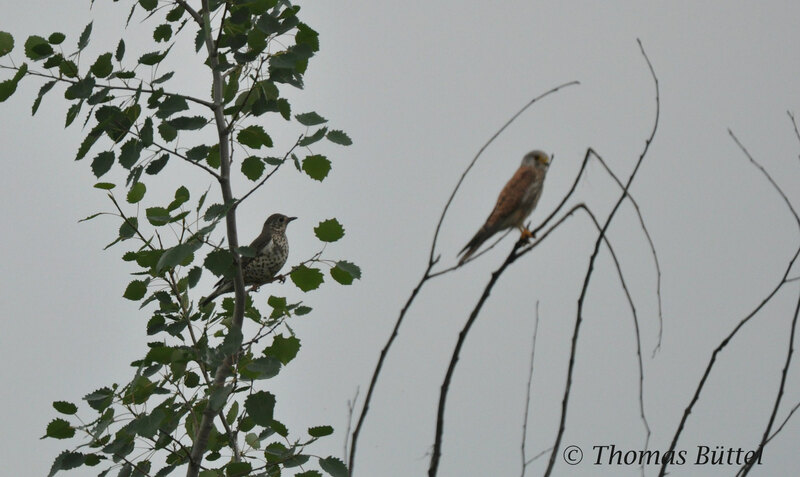 At this moment I saw another birder hundred meters away from me. I joined him just in the right moment when the ghost-like shillouette of a Nightjar lifted up directly in front of us and circled a few times over the path, sometimes so close that you could even touch it! While it was doing so it called permanently in a way, that I couldn't even find on xeno-canto. Perhaps kind of a regional dialect? However, soon afterwards it landed somewhere and was only heard distantly from this point on, so this was the perfect signal for making back to the car. In the end it was well worth to give a bit of my blood in exchange for seeing this iconic bird.